FICO Eataly World opened a month ago. The abbreviation stands for Fabbrica Italiana Contadina, but Oscar Farinetti’s latest big project has already become the “food Disneyland” for many. It is a very fitting definition for these 10 hectares of theme park (2 hectares of fields and stables, plus a further 8 indoors) devoted to the agri-food supply chain. It is the largest of its kind in the world. FICO Eataly World is on the outskirts of Bologna, on the site of the Agri-food Centre of Bologna (CAAB), recently renovated by the architect Thomas Bartoli (and about a kilometre away from the incinerator, as some maliciously point out). 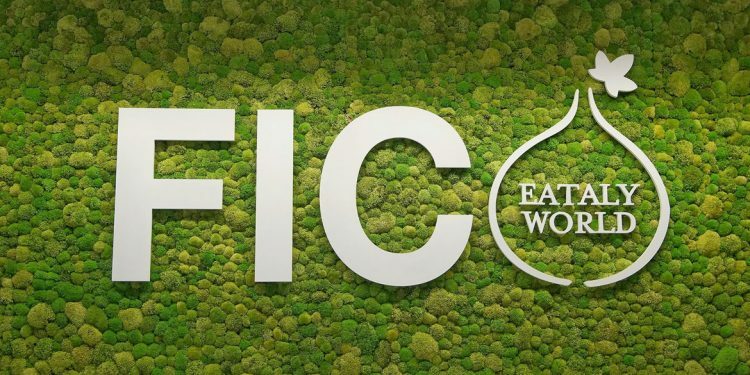 What is FICO Eataly World? Here are a few statistics. FICO Eataly World includes 40 “farming factories” for producing food: from pasta to meat, mozzarella, sweets, coffee and beer. There are 45 eateries, a market spanning over 9000 square metres, over 100 artisan shops, 200 animals, 2000 cultivars in demonstration fields (including a truffle field), 6 classrooms, 6 themed carousels and a packed programme of courses and events. There is an auditorium, a theatre and a cinema run by the Cineteca di Bologna (who also run the local film library). There is also a cycle path, given the vastness of the area. FICO is an admirable business project, it is innovative and was set up in a relatively short time span (4 years). It is a marvellous shopping centre that redefines the concept of retail and gives ample space to the customer’s experiential component. The supply chain can be experienced first-hand, except for the more brutal aspects (like slaughterhouses), from the (demonstration) field to the fork. The educational aims inevitably slide into the background: it is the companies themselves that are promoted. The consumer sees cows, discovers how mozzarella is made, can buy it and even eat it. But the less-aware visitor risks coming out of FICO with idea that the best mozzarella in the world is made by Granarolo (whose quality is not called into question, but it isn’t the absolute top quality).